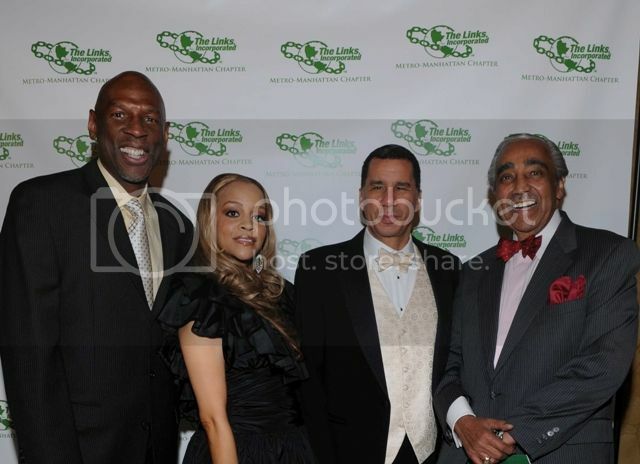 Kathryn and Kenneth Chenault with young men from the Young Achievers mentoring program at the Metro-Manhattan Chapter of The Links, Inc. 10th Annual Gala on December 12, 2010 in New York City. 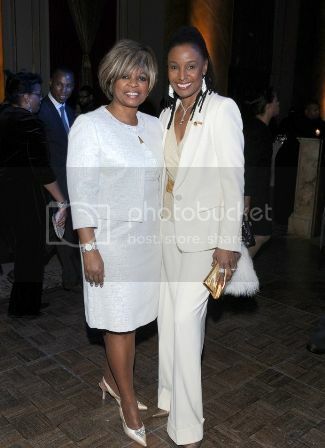 New York, NY – December 15, 2010 – Over 500 guests attended The Metro-Manhattan Chapter of The Links, Incorporated gala honoring the Governor and First Lady of the State of New York, David A. Paterson and Michelle Paige Paterson, and Geoffrey Canada, president and chief executive officer of Harlem Children’s Zone (HCZ) at the Capitale on December 12, 2010 in New York City. 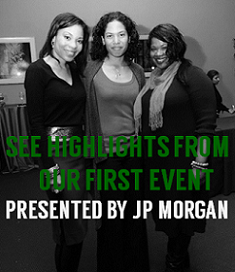 The event benefited the Metro-Manhattan Chapter of The Links, a non-profit organization dedicated to substantially impacting the quality of life for children and families in Greater Harlem through arts, education and leadership development. “We are proud to honor Geoffrey Canada, with The Links’ first Educational Leadership Award, for his outstanding dedication to Harlem children,” said Anna Maria Harris, president of the Metro-Manhattan Chapter of The Links, Inc. “Geoffrey Canada’s achievements are truly inspiring and empowering so many individuals and families,” added Harris. The Metro-Manhattan Chapter of The Links, Inc. and HCZ share the goal to create safe, stable and encouraging environments for Harlem children and families. HCZ serves more than 8,800 children in a 100 block area in Harlem, and a total of 10,000 children in Harlem overall. Award-winning CBS 2 News anchor Maurice Dubois hosted the evening that featured a special performance by the Millennium Dance Company, a Harlem-based program for young girls supported by the Metro-Manhattan Links. The event was attended by educational and civic leaders including: Congressman Charles and Alma E. Rangel; Dennis Walcott, Deputy Mayor for Education; Cassandra Simmons, Dean, Columbia University School of International and Public Affairs; Lee C. Bollinger, President of Columbia University; Dr. Sandye Johnson, Principal of Thurgood Marshall Academy in Harlem; Kathryn C. and Kenneth I. Chenault, CEO of American Express; Corbett A. Price, CEO of Kurron Shares of America, Inc.; B. Smith and Dan Gasby, and Donna Williams of the Metropolitan Museum of Art. Corporate sponsors were the Cochran Firm, Time Warner, Verizon, JP Morgan Chase, the City University of New York and Key Bank. The evening included a silent auction, dinner and dancing to the soulful sounds of The Package. The chapter has also announced the nationwide expansion of its 12-year-old Young Achievers program. With a record 55 students this year, the Young Achievers program provides mentorships and life skills workshops for young African American men. The goal for this program is to help young men of color graduate from high school and college. The program has helped over 300 young men since its inception. About the Metro-Manhattan Chapter of The Links, Inc.The Metro-Manhattan Chapter of The Links, Incorporated strives to enhance the quality of life in the Harlem community through the four facets structured by the national organization: Services to Youth, The Arts, International Trends, National Trends and Services, and Health and Human Services. About The Links, IncorporatedThe Links, Incorporated, founded in 1946, is one of the oldest and largest volunteer service organizations of women committed to enriching, sustaining and ensuring the culture and economic survival of African Americans and persons of African ancestry. The Links, Inc. has a membership of more than 12,000 professional women of color serving in 274 chapters in 42 states, the District of Columbia, and the Bahamas. Through its philanthropic arm, The Links Foundation, Incorporated, the organization has contributed more than $25 million to charitable causes since its founding. 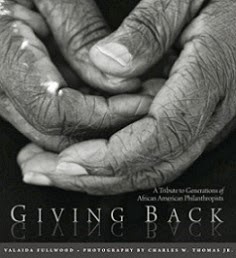 During this biennium, The Links contributed 1.2 million documented service hours assisting communities throughout the United States, Africa and other developing countries.